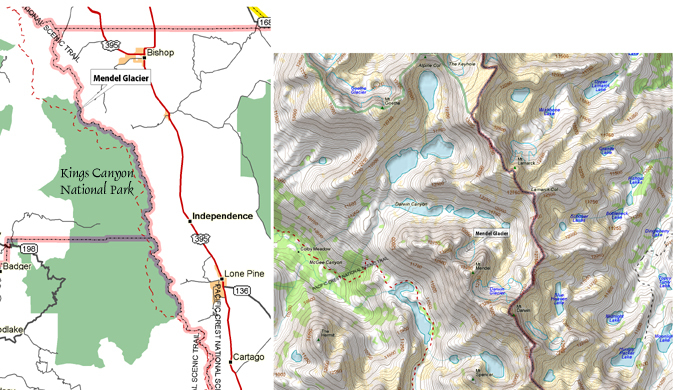 Final Flight: A Personal Journey into the Heart of the High Sierra. Shaping patterns of reality with imagination, writers express their curiosity with the world. Like scientists, writers find pleasure in studying and bringing order to a chaotic universe. Unlike scientists, they do so without relying solely on being rational. Instead, they pursue human stories that appeal to heart and mind. 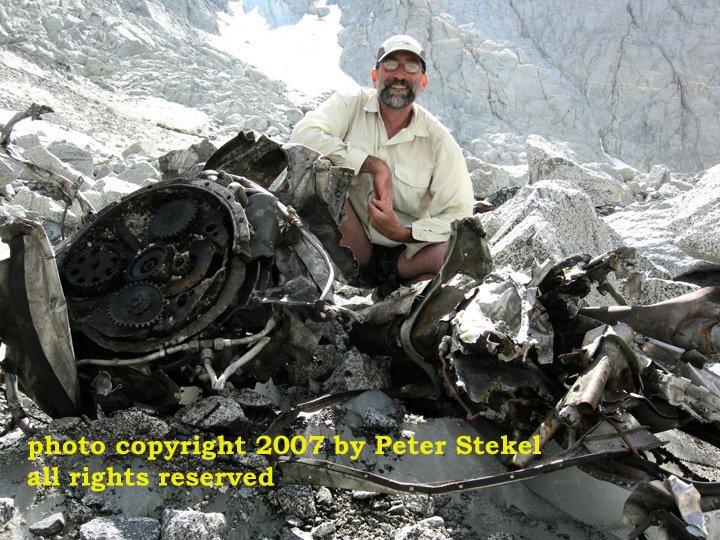 Read my autumn, 2006 Sierra Heritage Magazine story about the crash. Here is such a story of human proportions - one that continues to command news headlines and capture the imagination of readers everywhere. 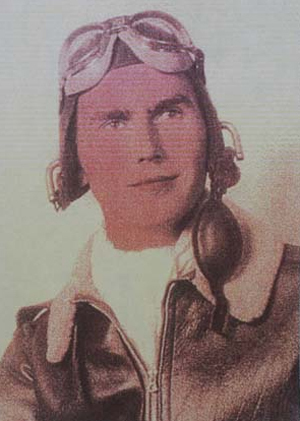 Once upon a time, in 1942, US Army Air Forces 2nd Lt. William Gamber departed Sacramento, CA on a routine training flight. The pilot and his three student aviation cadets were never seen again. 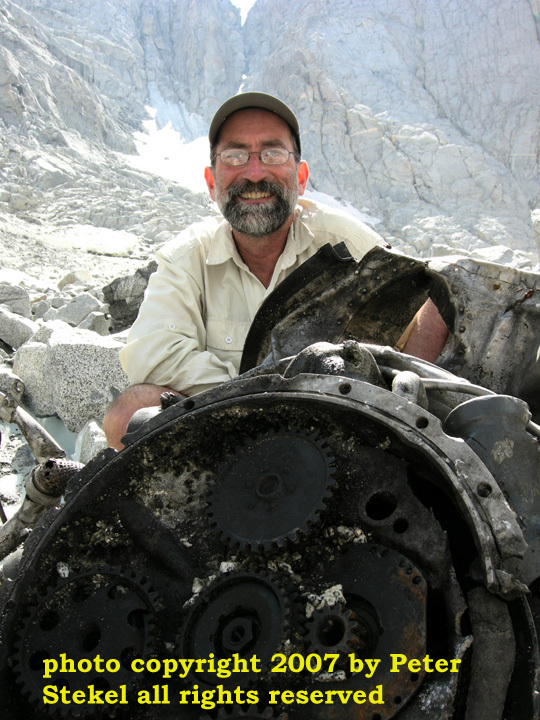 Wreckage found in 1947 in a remote area of Sequoia & Kings Canyon National Parks was confirmed as belonging to Lt. Gamber's plane a Beech 18 AT-7 #41-21079. 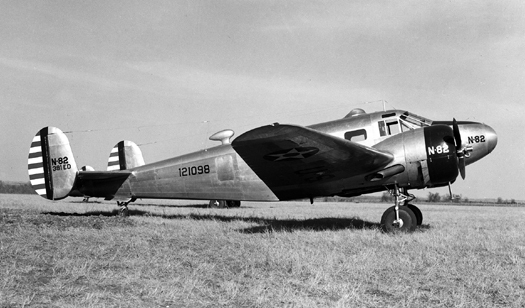 A 1948 recovery team lead by Captain Roy Sulzbacher returned empty-handed. 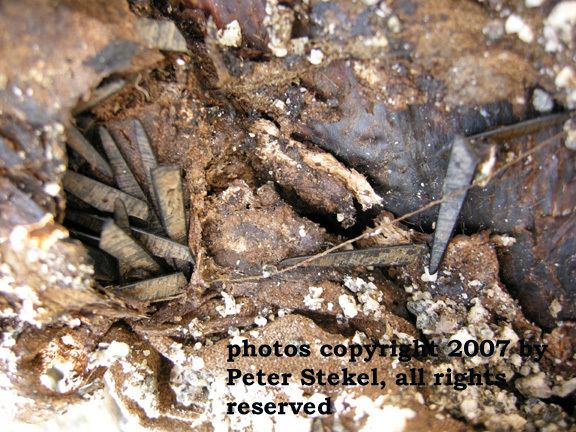 Everything was forgotten until October, 2005, when climbers found the mummified body of an aviator embedded within Mendel Glacier. 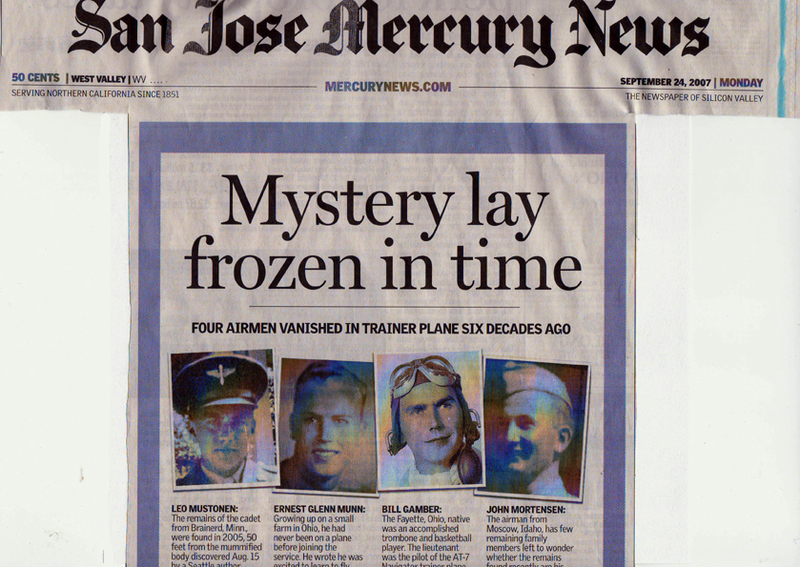 Five months later the "Ice Man" was identified as Leo Mustonen, one of Lt. Gamber's cadets and the story was forgotten again. 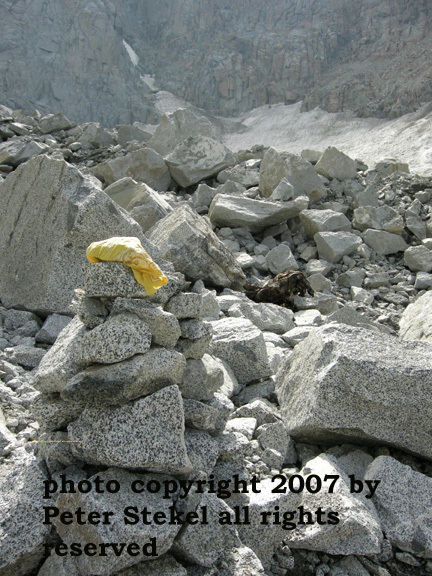 During my August, 2007, expedition to Mendel Glacier I was surprised to find another one of Lt. Gamber's crew of students. 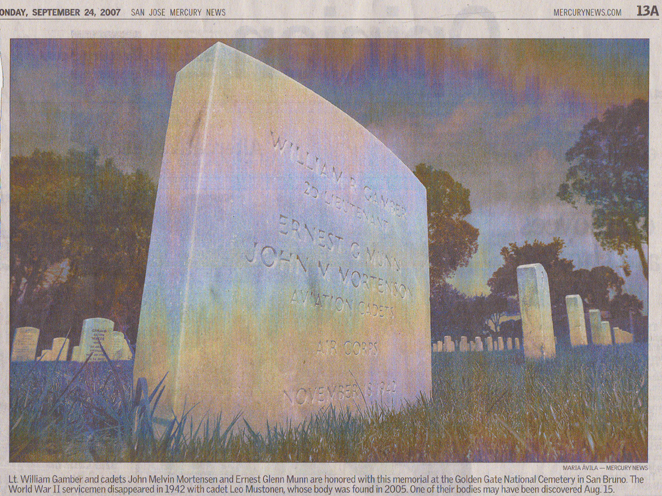 On Friday, February 8, 2008, the family of Cadet Ernest Glenn Munn was notified by the US military Repatriation Department that he was the person I found last summer. He will be returned home and buried in St. Clairsville, OH. 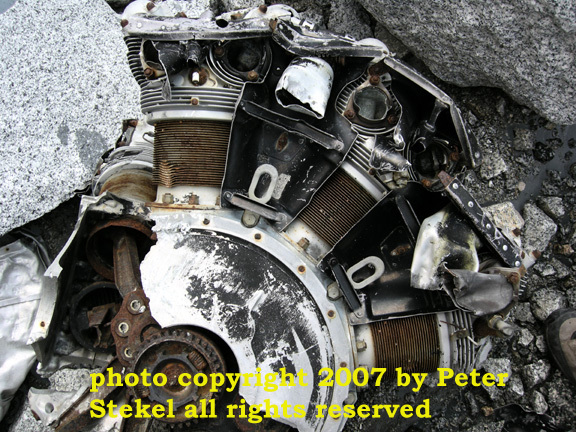 Click for images of the Beech 18 engine [1, 2, 3], cowl writing, Munn's ring, his parachute, the author of "Final Flight" [1, 2] with engine wreckage, a portion of Munn's sweater, site of Munn's burial in the ice, and teeth from his comb. 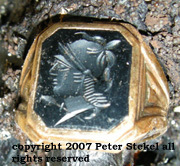 All photos © 2007 by Peter Stekel. All rights reserved. 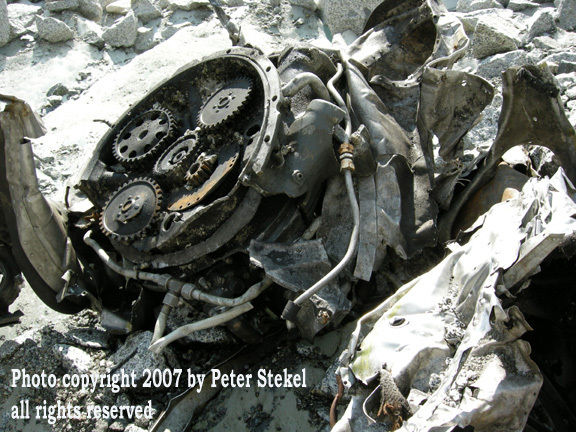 See wreckage from the Beech 18 piloted by Lt. Gamber here. View or download photo montages 1, 2 & 3 [pdf]. Large files! 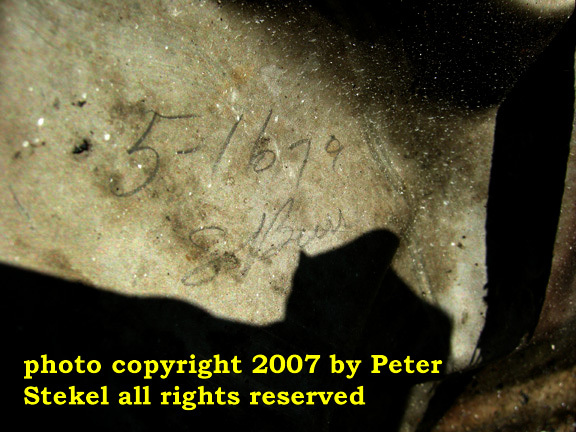 The missing plane story and enigma of the two cadets appearance in the glacier forms the backbone of my latest project - a non-fiction book, FINAL FLIGHT. 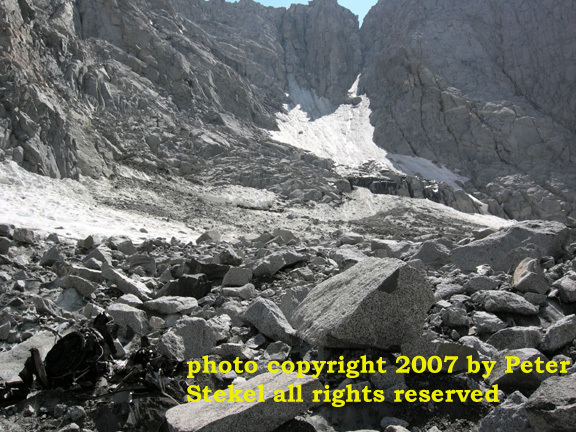 Where is the Mendel Glacier? Click HERE. Clues, red herrings and a vanishing witness make FINAL FLIGHT a classic, yet true-life, detective story. Why was the aircraft 150 miles off-course? Why has there been confusion about where the plane really crashed? 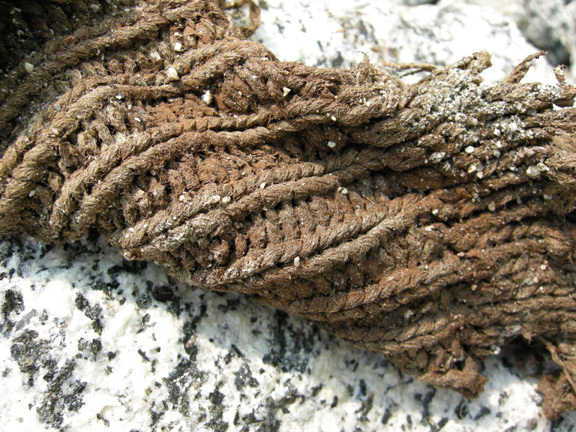 How could human remains lie hidden for so long? 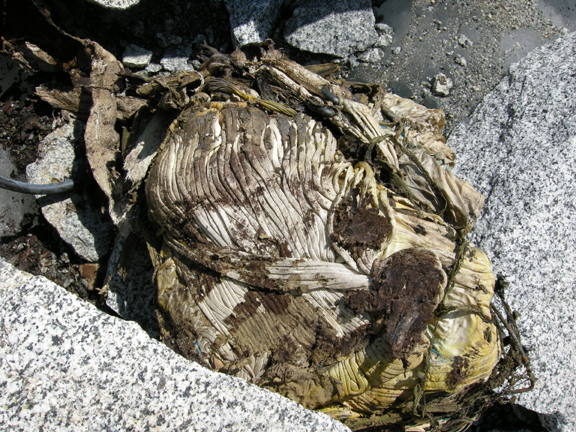 How did the these aviators come to be buried in a glacier? Will the other two bodies surface? What about the plane? Across all cultures, people care deeply about what happens to their bodies after death. It is our duty to ensure that these cadets are treated with the respect that we, ourselves, would expect. 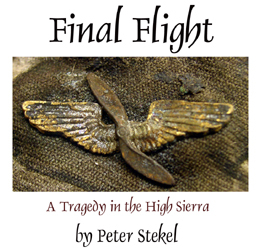 FINAL FLIGHT is an aviation narrative delivering irony, pathos and tragedy while tying together generations and time. Chapters in the book will discuss aircraft design along with the mechanical and navigational limitations that explain possible crash scenarios. Reviewing the search and rescue operations clears up confusion over the wreck's location. 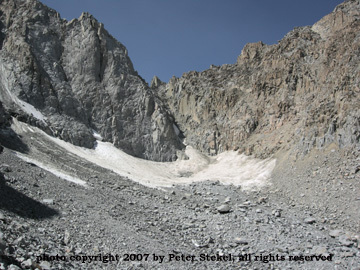 Separate chapters integrate important topics such as mountain weather and glacial geology into the storyline. 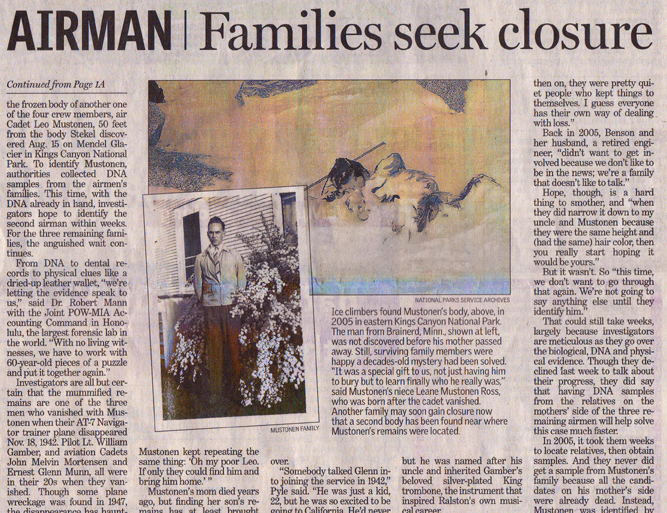 As the sleuth in the story, I critically appraise contradictions in the Ice Man's history. 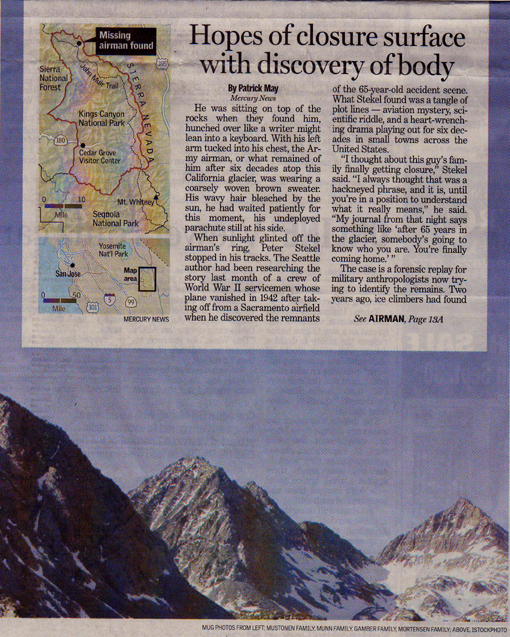 Information about removing the Ice Man from the glacier and determining his identity is provided along with biographies of the missing men. I have been interviewed for television news programs on Fresno and Seattle TV stations. Some of the broadcasts are available HERE. Wheeling News- Register 5/15/08 here or here. WTOV-9 Steubenville, OH 5/15/08 here. Los Angeles Times 3/12/08 here or here. 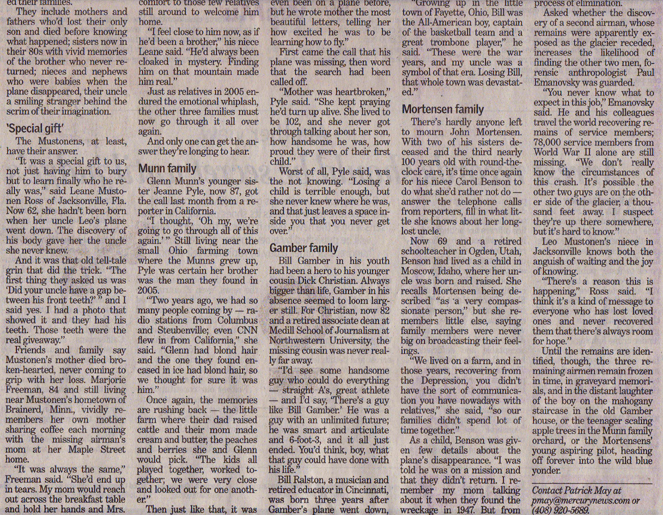 Many of the following articles are repeats from either the Fresno Bee or from wire service stories. However, the geographic range [as far away as Australia] excited by the story is very impressive. I believe it suggests how compelling this story is to so many people. Learn more about the work being done to find and identify other wrecks by clicking HERE.